This is from Mama M. the host of this meme. 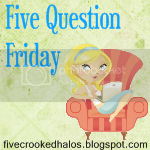 Rules for Five Question Friday: Copy and paste the following questions to your blog post, answer them, then come on back to link up! Grab the Linky Blog Hop code, if that's your kinda thing...and I'd be your best friend if you'd link back to me, Mama M.! If you don't have a blog...start one now! Okay, okay...if you don't have a blog, but wanna play along, feel free to answer the questions in the comments of this post, or on any blog along the way! 1. Take your pick...date night, girls night out, or night out alone? This is sad, but "what is a date night?" I think I blogged about a failed date night in my first week of blogging. Notice the lack of any posts that include date nights. Of course I would have to choose that strange thing from my past. I do have my girls night out often enough. Nights out alone involve me shopping without children and usually they are the most expensive nights out. I'll take the date night! No, nor would I ever want to. Gross! Daffodils, because they are a sign of spring arriving. Currently, I am enjoying the aroma of fresh lilacs from my buddy Bible answerwoman. First, I would have to hide from all of my long lost friends and family who would come out of the woodwork. Secondly, I would have to make up a silly story about how I found a winning ticket in the trash or something. I have a very strong opinion about the lottery. If you love to play the lottery, Thanks for stopping by, Terri G.
If you care what I think about the lottery and are not offended by my opinions read on. I believe the lottery is a tax on the stupid. When you play, you have hopes and fantasies that most likely will never happen. You waste money that could be invested wisely. It breaks my heart to be behind all of those people at the store, who are addicted to buying tickets. Many of them have children at home that may lack basic needs. I used to live in a welfare neighborhood and I saw this first hand and it saddened me. Sorry, to be a kill joy, but I am. 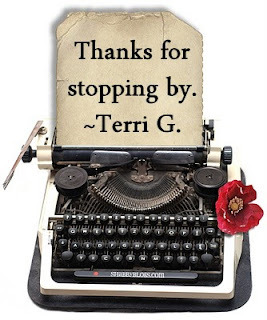 Now, I am off to read some blogs. Looks like we should do a double date night! lol I totallaly agree with you on the lotto thing. Ok not totally since I am that person in front of you in line buying one...once in a while! But people who spend so much on tickets are crazy. My father in law is like that. He has won a few times but Im sure has spent far more than what he has gotten AND he is always saying how broke he is!! I don't know what a date night is either! Great answer for #4!